I fell into a three-week hole of work, so I wasn't really able to read anything other than journal articles and old fanfiction. The fanfiction was more of a restorative than anything else; I ended up going through my favourite authors' backcatalogues and trying to rekindle some of the essential fire from younger and more energetic days. 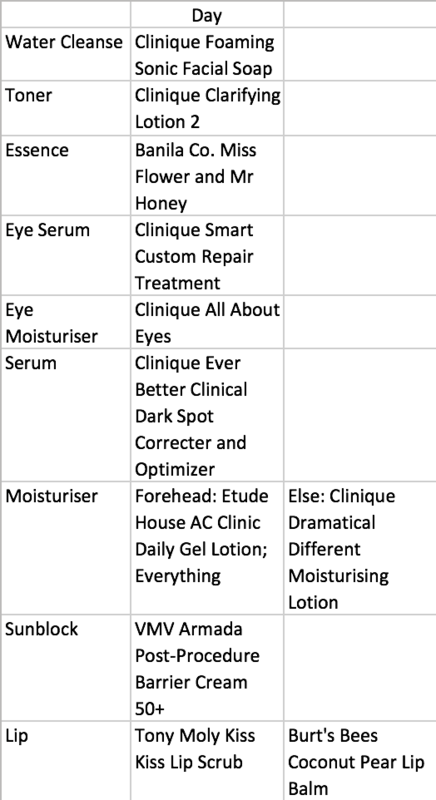 Like I said in my last blog, I ended up trying to regain some structure (and moisture) in my life by embarking on a sidequest of skincare improvement. I'm starting my third week of treating my body like a part of me and not like a brain canister that helps me catch animals for research, and I have to say that soft, moisturised skin is its own reward. Very interesting. Since I was the MC (Master of Ceremonies, not main character) for a professional dealio, I had to wear make-up again after months of just hissing at my reflection and hoping for the best. There was a marked difference in application from prior to skincare and post-skincare. I was worried that the 10-step Korean skincare thing would be too intense for my unpampered skin and that I would be too lazy to actually keep it up, but I've found myself looking forward to it. Okay, I started writing this blog entry a week ago, but I promptly fell into another work hole. I've slept six hours in the past 72 hours, but the good news is I've finished 3/5ths of the stuff I'm supposed to submit this term. There's a little less than two weeks left until finals, and I'm hoping to have everything done and submitted by April 5. I've got a few other pressing, non-doctorate deadlines, and those might have to fall by the wayside unless I finish everything to my satisfaction. Back to skincare: for Sunshine's birthday, we I decided to celebrate her aging by helping her build her own ten-step Korean skincare routine. Hakkai, Sunshine, and I hit Etude House (2), Missha (2), Body Shop (2), Banila Co., Skin Food, Tony Moly, Holika Holika, and Watsons. :))) It was pretty cool, if tiring, but Sunshine seems to be enjoying it so far. I added a few bits and bobs to my own routine, and I'm fairly sure that I've got it down. I'm going to put my routine here because... why not. I'm thinking of transitioning out of the Clinique cleanser, toner, and moisturiser because I think my skin likes the Etude House AC Clinic line more. I might look for actives in the near future though: Vitamin C, and AHA and BHA toner, when my skin's used to everything. I really haven't read much in the past month, just five books because of the submissions I mentioned earlier. I was a bit worried that I'd lost the taste for reading, but when I was researching about Korean skin care I found a lot of people recommending this. Cho's book is exactly what it says it is, but through the perspective of her own experience with Korean skin care. Charlotte Cho is a first generation Korean-American whose upbringing was mostly American. She decided to move to South Korea to work with Samsung, and she was jarred by the culture clash between American and Korean standards of beauty and skin care. 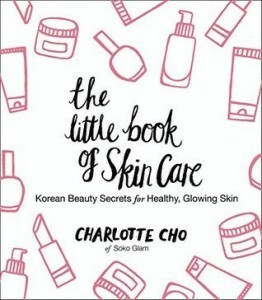 The book is elegant in its simplicity: since the information is delivered to us through the story of Cho's introduction to Korean beauty culture, and her subsequent education, it unfolds in a very natural progression. Another reason I liked it is because this book provided context and synthesis for all the disparate articles and forums I'd been reading through. I really recommend this one to anyone who wants to dip their toe into Korean skin care. Korean Beauty Secrets: A Practical Guide to Cutting-Edge Skincare & Makeup by Kerry Thompson & Coco Park I finished Cho's book and immediately craved more of the same. So I dug around a bit and came up with this book. I didn't enjoy it as much though. It could be because of my expectations, but I didn't care for Thompson and Park's writing style, in the way that it didn't have much character. It felt more like a text book to Cho's creative non-fiction. I did like that it had pages dedicated to real women's routines for different skin types. Check, Please! : Year One and Two by Ngozi Ukazu Ngozi released the digital files of the first two volumes of Check, Please! to Kickstarter backers, so I took advantage of that to read the entire series all over again. Check, Please! 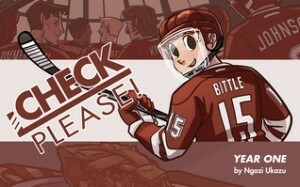 is a webcomic that my friend, Josh, got me into a few years back. 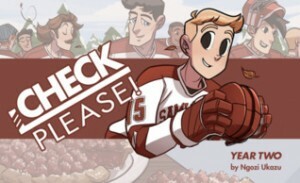 The main character is Eric Bittle, Bitty, a former figure skater-vlogger-university hockey player-baker-all around good boy. Ngozi's written a very compelling bildungsroman populated with a very loveable and well-developed cast of characters. The frame of the story is transmedia, Bitty's vlogs, pictures, and tweets are integral vehicles for plot and character development. I'm afraid to go further into it because I don't want to inadvertantly spoil the experience for y'all. Prepare to have intense cravings for baked goods though. 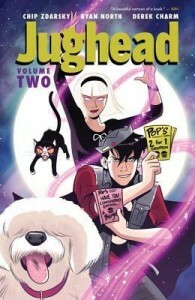 Jughead, Volume Two by Chip Zdarsky, Ryan North, and Derek Charm Zdarsky and North's Jughead has finally come into his own. Volume One was a bit too shaky for my taste, but Volume Two is utterly charming. There's been a lot of online discourse regarding The CW's gritty version of Archie, Riverdale, and how Jughead's canonical asexuality has disappeared into a puff of hormones and love quadrangle (note: I haven't watched it but from what I've seen I would ship #bughead too). Not only do we get more personal development and insight into Jughead's characterisation, but we get Sabrina! Magical witch Sabrina! in this volume as well. I've really enjoyed the contemporary take on the Archie comics, and the Jughead series is a solid part of it.